An ISO image is a disc image (or archive file) of an optical disc that has an .iso file extension. Burning ISO to DVD is a bit different than burning other files to DVD. 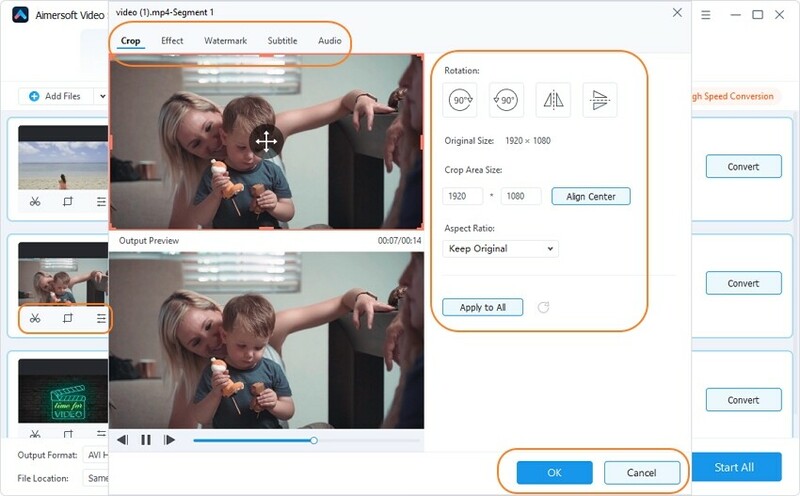 If you want to properly burning an ISO image file to a disc, Aimersoft Video Converter Ultimate is just suitable to your needs. And this article here will walk you through the process of burning ISO files with this ISO to DVD burner. You can also download and record online videos and burn them to DVD together with ISO video by using this program so that you can watch them on TV or backup using this all-in-one ISO video converter. To do a fast speed and high quality-maintenance burning/writing of ISO to DVD on Mac, just download the equivalence - Aimersot Video Converter Ultimate for Mac, which is compatible with Mac OS (Mountain Lion). You can use either Video Converter Ultimate for Windows or Mac; both of them are easy to use for the burning. And Video Converter Ultimate will be used here as an example to demonstrate how to burn ISO files to DVD. Run this software and turn to the Burn tab. Click the pull down arrow beside “Load DVD” and select “Load ISO Files” from the pull down menu. This will allow you to browse for folders where you will import ISO video for burning to DVD. Note: Ensure you’ve selected the correct TV standard, which is NTSC for USA, Canada and Japan (30 frames per second) and PAL for Asia and Europe (25 frames per second). AVI DVD discs are wrong TV standard and may not play correctly on your TV. To get the best viewing experience on your TV set, make sure you also select appropriate video quality. After you have imported the ISO images, click on the pencil icon on the right side of the files to edit it. You can set the start time and end time so as to obtain as many clips as you want. The frame size can be cropped or if you like you can add effects, pictures or text watermark. You can also edit subtitles. Before burning, you can then add a background image and music file directly from your local hard drive and select DVD menu from the left bar. When you are through with all the above settings, go ahead and click on the Burn button and you ISO files will start burning to DVD with a beautiful DVD menu. ISO files are really complete CD or DVD images which were compiled as one whole image file or *.iso, more or less like “ghostin” a hard disk or its partitions. One can load ISO images into various CD or DVD recording software packs for creating a CD or a DVD. Hi, can the movies play well on computer? To burn DVD, Aimersoft DVD Creator is another good choice. When trying to burn a movie, I get error "failed to create ISO file". I have closed program and let it rest before trying again but I get the same error. This happens with more than one movie and there are no scratches on the disc. I just purchased this program and I'm not getting the results I thought I would get.